“Given that we don’t know what happens past the Cauchy horizon, it could be crazy things as long as they’re mathematically possible." Before launching into their findings, let’s recall that, theoretically, some black holes have an electromagnetic charge and some don’t. All black holes have what’s called an event horizon. 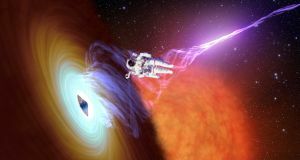 Should you find yourself in a black hole, the event horizon would be the “point of no return” if you passed through it. In the case that you were sucked into a black hole that had an electromagnetic charge, once you made it into the event horizon, you’d actually find yourself confronted by something else entirely: the Cauchy horizon. 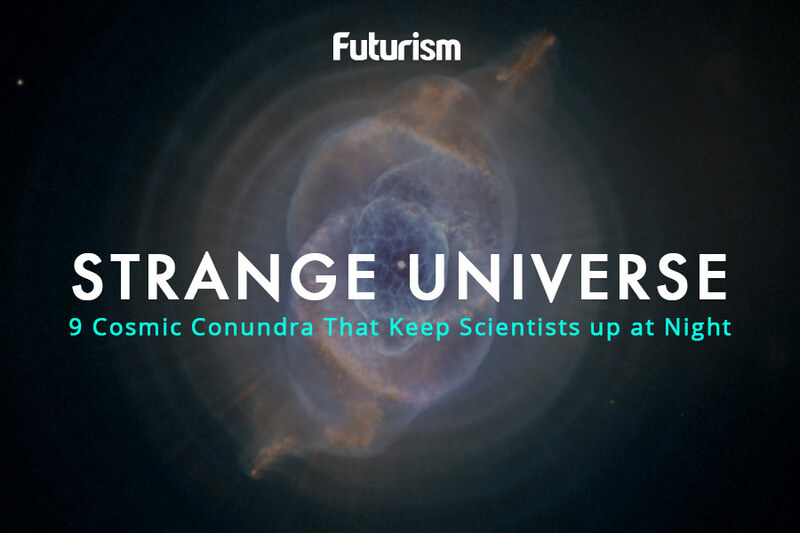 Beyond that cosmic boundary is… well, we don’t know. Which is why Hintz and his team were so curious about it. “Given that we don’t know what happens past the Cauchy horizon, it could be crazy things as long as they’re mathematically possible,” Hintz told New Scientist. More interesting than what might exist beyond the Cauchy horizon is what doesn’t — namely, the governing principles of thought and logic that allow us to make sense of the world and predict with a fair degree of certainty how scenarios will play out. What we do know for certain is that if you spend too long near the Cauchy horizon — deliberating the senselessness of deep space, perhaps — gravity will stretch you to death. However, during that period space-time will also be stretching the bounds of what makes sense; what the philosophers called determinism. Here on Earth, if we want to better understand our current circumstances, or attempt to make guesses about the future, we can look to the past. But at the edge of the Cauchy horizon, on the brink of singularity, the laws of physics don’t apply. So, not only do we have no idea might be lurking within, we also can’t make any predictions. “[The singularity] could emit elephants, planets, radiation – basically anything,” Hintz said to New Scientist, which means that even if gravity doesn’t tear you limb from limb, you could be taken out by an elephant hurtling toward you at warp speed. But here’s the thing: as Hintz’s team points out, the universe is rapidly expanding. Because of this, it stands to reason that all this energy might be more evenly distributed than we think. And if that’s the case, then if we ramped up the engine our of spaceship to pass through the Cauchy horizon fast enough, we might actually make it to the other side. The calculations in Hintz’s study only work for black holes with an electric charge (which are, as far as we know, wholly theoretical). However, as the team points out in their paper, the behavior and makeup of these non-existent electrically-charged black holes could be seen in certain black holes that do exist: rotating ones. Not that you’re likely to get sucked into any black hole — theoretical or otherwise — but it’s nice to know you might survive the trip. Of course, what life would be like in the strange and unpredictable world that awaits you on the far side of the Cauchy horizon remains unknowable. Though, as Hintz’s study concludes, it’s possible that the cosmic landscape would be full of wormholes. So, if you didn’t like your new digs, you could just hop into the next universe over. Maybe one with fewer elephants.